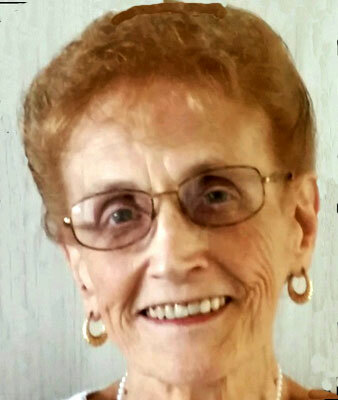 MARY E. DAVIS NORTH JACKSON - A service will be held at 10 a.m. on Saturday, Jan. 30, at the Lane Family Funeral Homes, Austintown Chapel, for Mary E. Davis, 86, who passed away Jan. 22, 2016. She was born Jan. 15, 1930, to John and Ercie (Conrad) Barrett in Burnsville, W.Va.
Mary was a registered nurse and retired after many years of service in 1995. She married Russell H. Davis on Oct. 2, 1948. He passed away on Nov. 26, 2001. Mary loved reading and spending time with her grandchildren and great-grandchildren. Mary is survived by her son, Russell (Karen) Davis; her sisters, Mildred (Virgil) Jackson, Madge (Johnny) Wines, and Lena Barrett; her grandchildren, Paul (Jennifer) Davis, Angela (Paul) Lucas, Christine (Adam) Lorenz, and Maria (Adam) Vollrath; and her great-grandchildren, Molly Lorenz, Evan Lorenz, Abella Davis, and Elsa Davis. In addition to her parents and husband, Mary was preceded in death by her daughter, Diana DelVecchio; her brothers, Marvin, John, Richard, and Dewey Barrett; and her sister, Rena Gregory. Friends and family may call on Friday, Jan. 29, from 5 to 8 p.m. at the Lane Family Funeral Homes, Austintown Chapel, where the service will be held at 10 a.m. on Saturday, Jan. 30.